#Holiday Romance and #Recipe Exchange ~ M.S. Kaye’s Christmas Cookies! December is a joyous time and Author Tina Gayle‘s recipe exchange proves once again sharing recipes is a good thing. Got a hankering for cookies? Author M. S. Kaye is packing a cookie broadside today. So sit back and prep your taste buds, me hearties. Lady M.S.’s recipe is sure to satisfy your sugar cravings. Take it away, Lady M.S.! Huzzah!!! Recipe for Pralines! FREE Book! And Author Patricia Preston Today! The month of December is all about sharin’ gifts, recipes, and gatherin’ with family and friends. (Sharin’ is carin’, eh?) Even better, there’s nothing like parlayin’ on exciting topics here at Rogues, Rebels & Rakes. What better way to get to know an author then to learn their favorite recipes? So without further ado, Jack and I would like to welcome back Author Patricia Preston. “Aye, she’s tastes better than a Tortuga tart.” Jack winks. 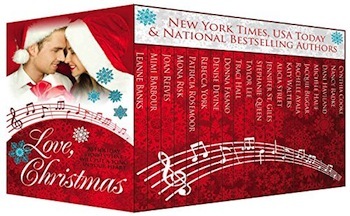 Christmas & Jane Austen from Austen Authors & Anna Elliott! Christmas as we know it today is largely a Victorian invention. Traditional yuletide celebrations during Jane Austen’s time were quite different than today, but it was still an important holiday. Part of my second Austen-inspired book, Pemberley to Waterloo, is set during Christmas at Pemberley. I was fascinated to learn more about Regency Christmas traditions. Santa Claus as we know him today did not exist for English children during the Regency. Saint Nicholas Day was celebrated on December 6, and it was customary to exchange gifts in commemoration. But no one supposed that the gifts were actual from Saint Nicholas or that he slid down anyone’s chimney. To read more of Lady Anna Elliott’s great post click on Austen Authors, for readers who need more Jane Austen!